Peach Pink Flower Earrings. Peach Pink Earrings. Gardenia Flower Earrings. Silver Stud Earrings. Peach Pink Rose Earrings. Handmade Jewelry. Purple Flower Earrings. 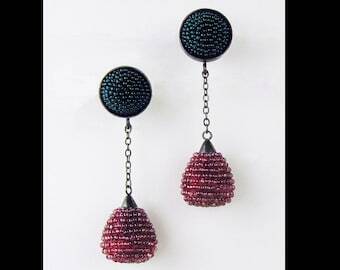 Purple Earrings. Silver Stud Earrings. Sparkle Earrings. Post Earrings. Handmade Earrings. Handmade Jewelry. Turquoise Dahlia Flower Earrings. French Hook Earrings. Teal Flower Earrings. Lever Back Earrings. Handmade Jewelry. Light Orange Flower Earrings. Pale Orange Earrings. Gardenia Flower Earrings. Silver Stud Earrings. Orange Rose Earrings. Handmade Jewelry. Light Blue Flower Earrings. Baby Blue Earrings. Gardenia Flower Earrings. Bronze Post Earrings. Blue Rose Earrings. Handmade Earrings. Red Butterfly Earrings. Red Earrings. Silver Stud Earrings. Butterfly Earrings. Post Earrings. Handmade Earrings. Handmade Jewelry. Orange Butterfly Earrings. Orange Earrings. Silver Stud Earrings. Butterfly Earrings. Post Earrings. Handmade Earrings. Handmade Jewelry.